Our hats and headpieces are suitable for a number of events, and hiring them allows you to enjoy wearing exclusive millinery. An invitation from the Royal Household to an Investiture or Garden Party requires a lady to wear a hat. Investitures usually take place in the Ballroom at Buckingham Palace or in the Waterloo Chamber at Windsor Castle. Official dress codes state that a hat is preferable and the occasion calls for classic formal headwear. Garden Parties take place at either Buckingham Palace or the Palace of Holyrood House and represent a fabulous opportunity to dress up and enjoy the occasion. The norm is to wear a day dress with a hat or headpiece. National Dress and uniform are also often worn. Henley attracts thousands of visitors every year who watch over 200 rowing races over five days. 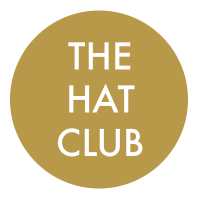 Hats are encouraged in both the Stewards Enclosure (remember the hem line of your dress or skirt must fall below the knee!) and also Fawley Meadows. The official dress code states that ‘it is customary for ladies to wear hats’. Guests at a Bar/Bat Mitzvah generally dress up to mark the wonderful occasion and women often wear hats. Please do not hesitate to contact us if you require millinery for your production’s wardrobe and we will do our best to assist.